Et de quatre! 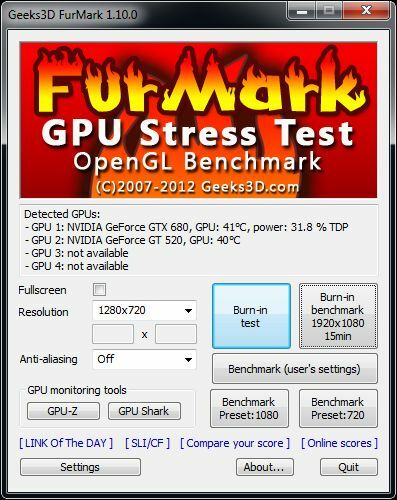 Like GPU Shark, GPU Caps Viewer and EVGA OC Scanner X, FurMark has been updated with the full support of NVIDIA’s GeForce GTX 680 (clock speeds and power monitoring). Alongside the GTX 680 support, true clock speeds are now displayed (useful with End-Of-Life GTX 580…) and GPU monitoring code runs now in its own system thread. 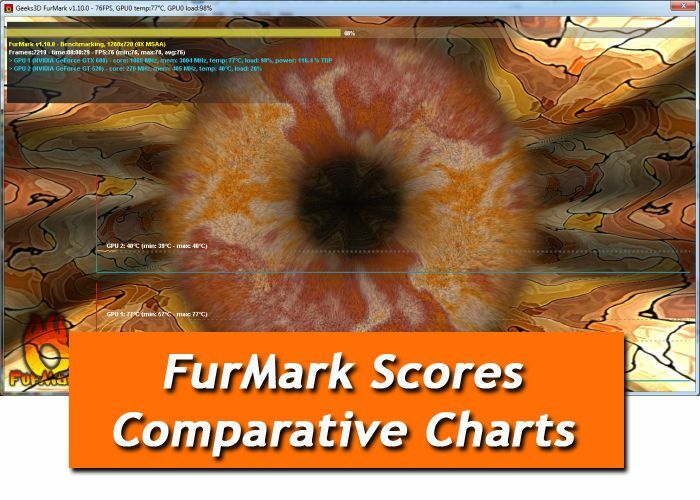 GPU Shark and GPU-Z have updated to their latest versions. For more information see the changelog at the end of the post. New: added resolutions 4096×1152 and 6144×1152 for 2048×1152 monitors. Again, an horrible program. Enabling SLI can be done by software and they can’t even do that, go figure. Zibri – what are you talking about? This is a great little tool – been using it for few years and through x850-HD3870-HD4850-HD4850 X-Fire-HD6970. This is some heavy stuff! .. well, ok, atleast for intel’s taste. This is really useful. I suspected My GPU was knackered, this proved it. ATI 3800, when it reaches 115 degrees, it keeps slowing down and speeding up. Load drops to zero and then back to 99. Clearly a major problem. New card needed, damn it. good software, nice to rapidly test stability of driver or PSU issue !